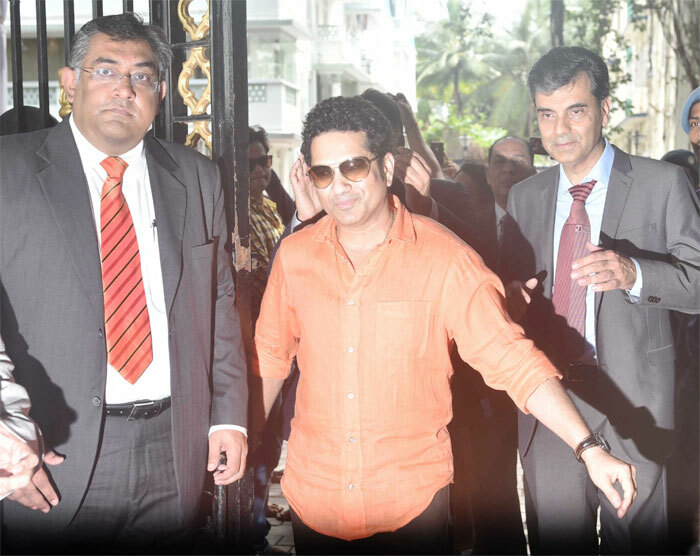 IMAGE: India cricket legend Sachin Tendulkar walks through the gates after inaugurating the 'Raj Singh Dungarpur' gate at the Cricket Club of India in Mumbai on Friday. Photograph: Sahil Salvi. 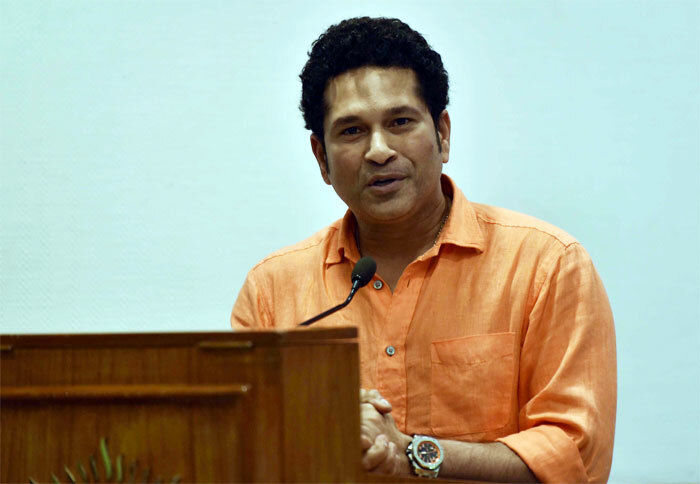 Cricket legend Sachin Tendulkar on Friday recalled how former BCCI President Raj Singh Dungarpur helped him for the major part his long career. 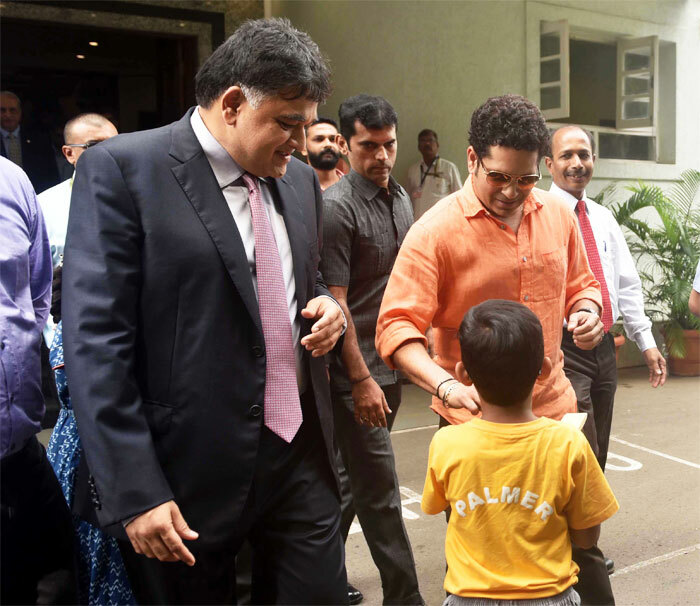 Tendulkar inaugurated a gate named after the late former selection committee chairman at the Cricket Club of India (CCI) in Mumbai. "Once my name was recommended to Raj Bhai, he told me to come and play for CCI and bent all possible rules and allowed me to get in the dressing room at the age of 14, I was the only one and slowly, slowly in your (CCI's) company got comfortable and results started following." "When Raj Bhai was on his last tour as manager, which was 2005-06 in Pakistan, I could still feel his passion for the game despite his old age," he said. "There were usual discussions whether Sachin would go to West Indies or not, so Raj Bhai came to me when I was playing the (Ranji) semi-final at the Wankhede stadium against Delhi. "And his words came true and I played for India in November same year (against Pakistan in Pakistan in 1989)."